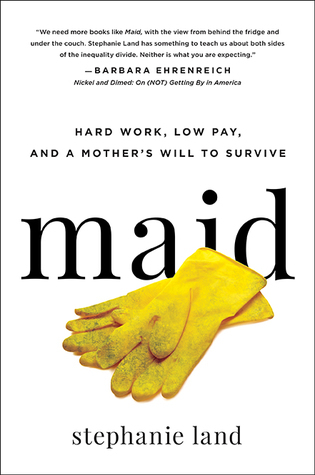 Stephanie Land is the author of MAID: Hard Work, Low Pay, and a Mother's Will to Survive. Her work has been featured in the New York Times, New York Review of Books, Washington Post, Guardian; Vox, Salon, and many other outlets. She focuses on social and economic justice as a writing fellow through both the Center for Community Change and the Economic Hardship Reporting Project. She lives in Missoula, Montana, with her two daughters. Follow on Instagram and Twitter @stepville.